Advanced Fluid Systems recently completed a filter cart modification, which will be used as a portable, add-on filtration system for a customer with several hydraulic systems. 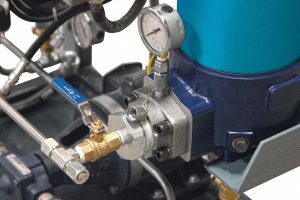 The unit contains its own pump-motor group so that it can be used when a hydraulic system is idle, or when transferring fluid from one area to another. Designed to the customer’s requirements, the cart was built to accommodate new filter housings, gauges, hydraulic lines and ball joints. AFS assembled the unit with high quality components and fully tested it prior to shipping. Remove free and dissolved water from fluid even while your system is running. Remove free varnish and varnish causing acids. Remove particulate and water from diesel fuel. Remove particulate, water and acid from phosphate ester fluids. Quickly clean a system while it is offline during maintenance or after a major component failure. Filter new fluid when transferring it to a machine’s reservoir. Add a heat exchanger to reduce your fluid’s temperature. 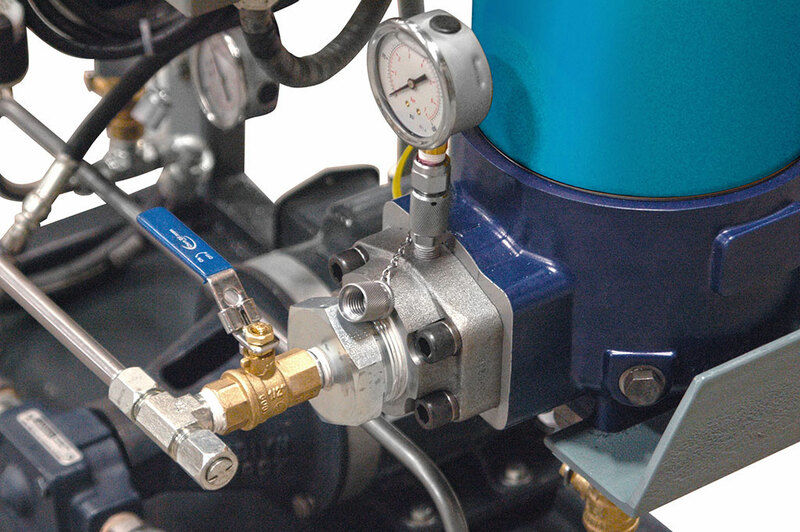 Advanced Fluid Systems can engineer you a custom filtration solution to meet any of your system’s needs. Need a filtration system for the weekend? We also RENT hydraulic filtration systems.